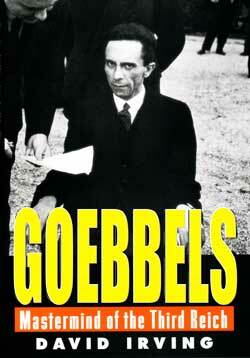 This is one of the great untold stories of our time - that of the little band of generals entrusted with a historic task: invading and liberating Nazi-occupied Europe. They were supposed to be fighting the Germans, but some of their fiercest battles were fought against each other. At the center was the Supreme Commander himself, Dwight D. Eisenhower - sincere, indecisive, desperate to hold the Alliance together. Against him was Field-Marshal Bernard Montgomery, who strove ceaselessly to gain authority. Cavilling against them both were the others - the outrageous Patton, the dogged Bradley, the “bomber barons” like Spaatz, Vandenberg, and “Butcher” Harris, and Trafford Leigh-Mallory. After the war, there was a cover-up. 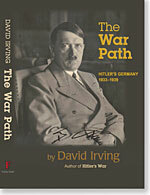 Not until David Irving began his research did the full truth emerge. Among his unexpected discoveries was the wickedly candid diary of the obscure general who was Eisenhower’s “eyes and ears”. Through this and other private accounts we see the war as the generals lived it - squabbling over perks and preferences, taking their mistresses with them on to the battlefield, and there are revelations about General Patton that will amaze. There are other surprises - General de Gaulle’s use of torture upon his fellow Frenchmen is one, and a clear attempt by the Allies to get rid of him is another. This book is a history of command. It shows how the ambitions and personalities of the men at the top affect the course of a war and the lives of the ordinary mortals in the field. 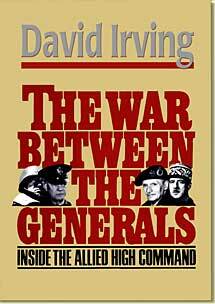 David Irving's "The War Between The Generals" focuses on personal rivalries, strategic disputes, national conflicts and other forces that threatened the Allied command from within. 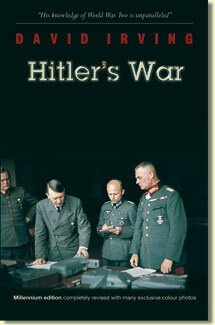 Irving's writing style is superb, with the pacing and detail of a thriller novel and the facts and insights of real history. Why can't more historians write like this? The most serious Allied dispute dealt with Eisenhower's "Broad Front Strategy", in which Anglo-American forces would move across large sectors of France in the final push into Germanny vs. Montgomery's "Full Blooded Thrust", wherein a huge Allied Army would march on a narrow axis directly into the Ruhr Valley to capture and destroy Germany's industrial region. This broad front vs. full blooded thrust originated out of each commander's national needs. Montgomery knew that the British Empire teetered on the edge of bankruptcy and was down to her last manpower reserves. A quick victory in Europe would thus preserve the Empire. Eisenhower sought to maintain the Anglo-American coalition and pursue a low risk strategy of incremental advance across the entire Western Front. Eisenhower also wanted to maintain the autonomy of American commanders like George S. Patton. Ultimately, Ike decided that America, the major contributor of men, material and money, would call the strategic shots. The arrogance and incompetence of the French is examined in great detail. Shockingly, De Gaulle routinely fed the names of dissidents who loved France but not De Gaulle to the Gestapo so as to eradicate any rival political forces. Irving packs in great details such as the German V-1, V-2 and V-3 superweapons, the Allied VX proximity fuses and many other fascinating facts. I highly recommend this work of history as it demonstrates how the Allies first had to overcome themselves before they could vanquish the Axis Powers.